When the market experiences a strong pullback as it did yesterday then there is often a tendency for it to bounce the next day. 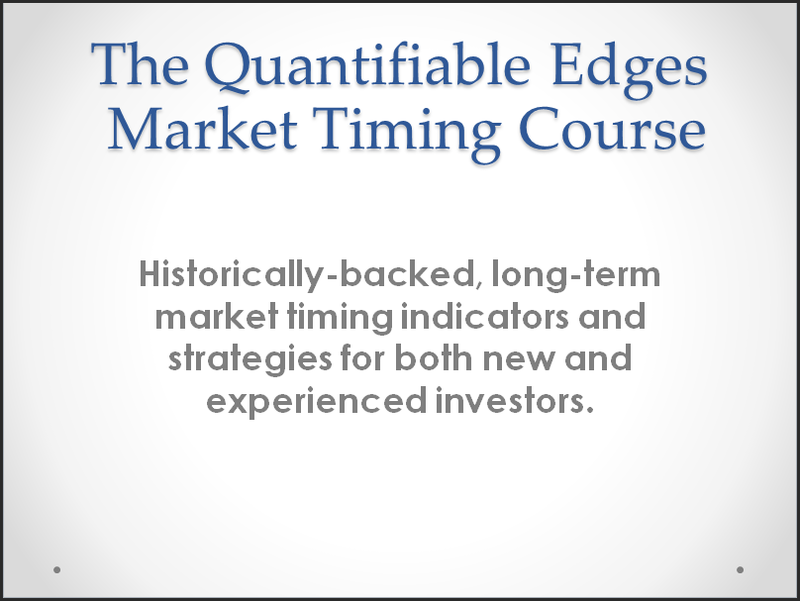 This tendency varies greatly though, and depends on a large number of factors. One factor to consider is how the market moved the day before. 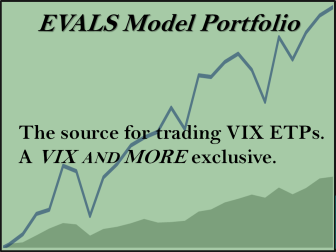 Let’s look at a couple of equity curves that will demonstrate my point. 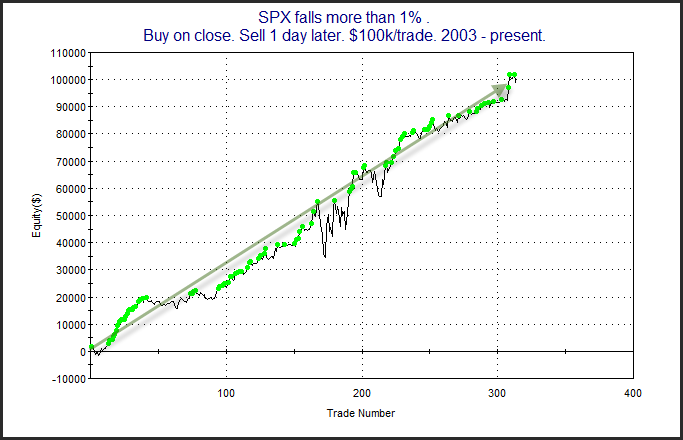 This first one shows results since 2003 of buying all 1% drops at the close and selling at the close the next day. I ran this back to 2003 because that is about the time this equity curve began to show a consistent upside tendency. 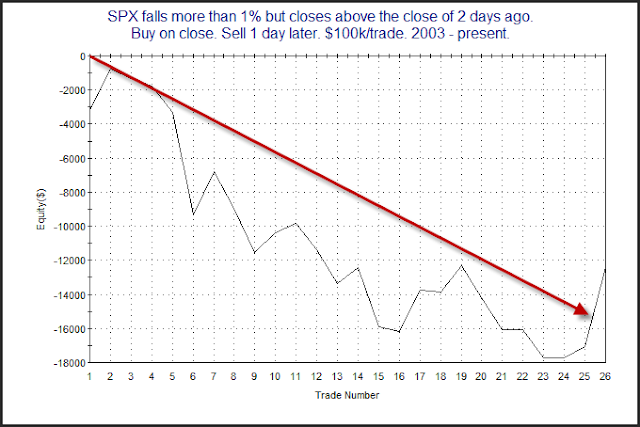 Now let’s look at all times the big drop failed to close the SPX below the close of 2 days ago. There’s different ways to look at this, but here is a simple one. If today’s big drop did not wipe out yesterday’s gains, then it may have further to go.